This article first appeared on Fire Aviation. Rescuers in Russia board a helicopter to fly to the site of the air tanker crash. Screen shot from EMERCOM of Russia video. The wreckage of the Russian air tanker that was reported missing in Siberia on July 1 has been found. Rescuers found the debris of the Ilyushin IL-76 plane at approximately 2 a.m. Moscow time in the Kachug District, 9 km southeast of the settlement of Rybny Uyan. From the air the in the smoky conditions in the forest the only recognizable part of the aircraft was the tail. Initially there were conflicting reports on the number of personnel on board, ranging from 9 to 11, but Russian authorities on Sunday confirmed there were 10. The remains of six and one flight recorder have been located. Marines are clearing an area to be used as a helispot. …A Russian aviation agencies source told TASS news agency that the plane most likely lost control because of interference from hot air from the wildfire that it was trying to douse with water. The plane’s tail was discovered by another firefighter on today morning, said the Russian forestry agency’s aviation unit. Last week another firefighter died on duty in Russia’s far-eastern Kamchatka region, the regional government revealed. The forestry agency’s aviation unit said today that over 43 thousand hectares of forest land is burning in Russia, mostly in Siberia. But Russia’s Greenpeace which monitors wildfires via satellite data said government figures are vastly underestimated, with 415 thousand hectares burning in Irkutsk region alone. On June 16, 2015 Steve Metheny, the former Vice President of Carson Helicopters, was sentenced to 12 years and 7 months in prison for falsifying documents that led to the crash of a helicopter in 2008 that killed 9 people. More information about the sentencing. Two men will be sentenced Monday and Tuesday of this week for charges related to a helicopter accident that killed nine pilots and firefighters. The 2008 crash of the Sikorsky S-61N helicopter occurred on the Iron 44 Fire (or Iron Complex) on the Shasta-Trinity National Forest near Weaverville, California. Killed were the pilot-in-command, a U.S. Forest Service check pilot, and seven firefighters. The copilot and three firefighters were seriously injured. 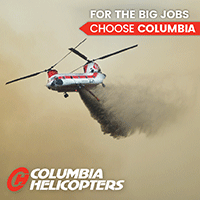 The helicopter was operated by Carson Helicopters, Inc. of Grants Pass, Oregon. The sentencing hearing for Steven Metheny, 44, the former Vice President of Carson Helicopters, will be held at 9 a.m. today, June 15 in federal court in Medford, Oregon. 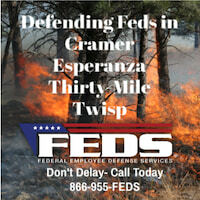 He pleaded guilty to one count each of filing a false statement and of conspiracy to commit mail and wire fraud while submitting documents to obtain $20 million in firefighting contracts with the U.S. Forest Service. He could be sentenced to 25 years in prison and fines amounting to $250,000. The sentencing hearing for Levi Phillips, 45, the former maintenance chief of Carson Helicopters, will occur on Tuesday, June 16. He pleaded guilty to a single charge of fraud and now faces up to 20 years in prison and up to $250,000 in fines. He agreed to cooperate with authorities in the case against Mr. Metheny. Killed in the crash were pilot Roark Schwanenberg, 54; USFS check pilot Jim Ramage, 63; and firefighters Shawn Blazer, 30; Scott Charlson, 25; Matthew Hammer, 23; Edrik Gomez, 19; Bryan Rich, 29; David Steele, 19; and Steven “Caleb” Renno, 21. The copilot and three other firefighters were seriously injured. The Register Guard has an interesting article about the family of firefighter Scott Charlson, and how they had a difficult decision to make about attending Mr. Metheny’s hearing or the college graduation of Mr. Charlson’s brother. Both begin at 9 a.m. on Monday. 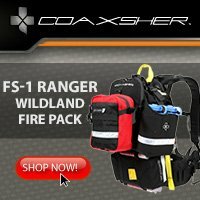 According to the National Transportation Safety Board, there was “intentional wrong-doing” by Carson Helicopters that under-stated the weight of the helicopter and over-stated its performance in the documents they provided to the U.S. Forest Service when bidding on their firefighting contract. The NTSB estimated that the actual empty weight of the helicopter was 13,845 pounds, while Carson Helicopters stated in their contract proposal that the weight was 12,013 pounds. For the purpose of load calculations on the day of the crash, the pilot assumed the weight to be 12,408 pounds, which was 1,437 pounds less than the actual weight estimated by the NTSB. 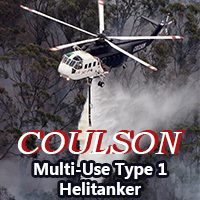 The NTSB determined that for the mission of flying the firefighters off the helispot that day, the helicopter was already over the allowable weight even without the seven firefighters on board. Steve Methany’s hands are all over this tragedy. For the Defense lawyer and Steve Methany to say the criminal actions of Steve Methany had nothing to do with the Iron 44 tragedy is another boldface disgusting lie. The maximum sentence possible within the US Federal Court of Law should be served to Steven Methany because of his criminal actions which resulted in the horrific deaths of 9 men one of which was my son Scott Charlson. Our family will never be okay because of this tragedy. 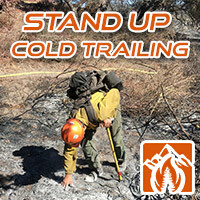 Articles on Wildfire Today tagged Iron 44. One of the military Modular Airborne FireFighting System (MAFFS) C-130 air tankers experienced a hard landing Sunday after having a problem with the nose landing gear. Thankfully there were no injuries. More details and photos are at FireAviation.com.